It's Time To FALL In Love With You! – Love Yours Gives, Inc.
Home Blog It's Time To FALL In Love With You! FALL in Love with You, too. As the seasons change and the days get just a bit shorter, it is imperative to love yourself more. Have you ever heard of SAD, Seasonal Affective Disorder? It’s associated with the fall and winter months, when many feel sluggish and unmotivated (think: “Namast’e in Bed”). The Love Yours Team is all about a good nap. That’s a form of love all in itself, but all things in moderation, right? but healing doesn’t always mean you’re cured. So take time to care for yourself. You’ve got to learn how to love yourself too. Socialize with friends. Facetime your bestie; schedule a movie night with your lover. Do something social. Being in the company of others is always a good idea when you’re feeling down. Designate time to be sad. It’s okay to be sad. It’s an emotion that we all experience. However, you cannot dwell in that space. Be sluggish and unproductive briefly; then go do your work. Need more motivation? 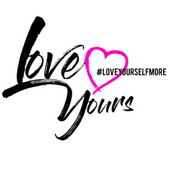 Listen to the #LoveYourselfMore Playlist on Apple Music. You're a superpower, Sis. We believe in you! Have an awesome Autumn! Are you following our Instagram? @loveyoursgives We have an exclusive giveaway coming soon for subscribers only. Don't miss out.